How all this relates I am not sure because Tony Joe White has had a complicated career. 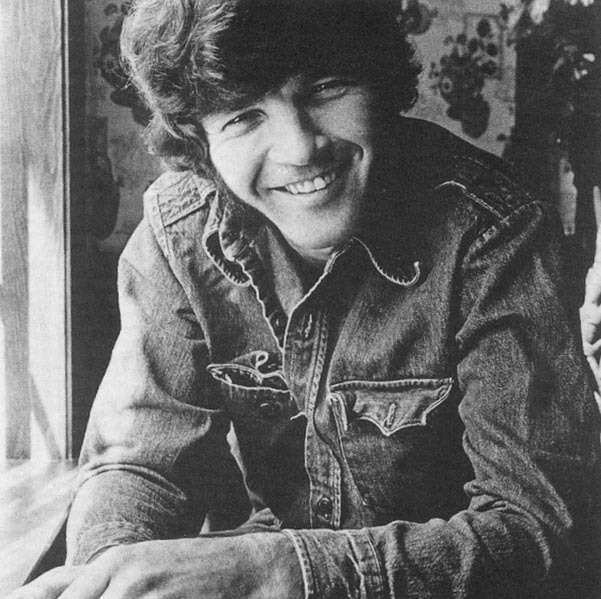 He has managed to combine periodic bouts of obscurity and commercial failure whilst acquiring a solid reputation, interest from big league players like Tina Turner and enough money to purchase a ranch, his own modest Zanudu.In the beginning of his career, Tony Joe White was heralded as the new Elvis. This is not bad because the last time I saw him was in a pub in Wolverhampton. Admittedly, the pub had a concert room but it was a tiny venue. I doubt if there were a hundred of us sitting there. I doubt also if anybody else had travelled from Liverpool to Wolverhampton. ‘Is there a football match on?’ said one of the blokes in the toilet. ‘No, I’ve travelled specially,’ I said. I thought about when comparisons were made between Tony Joe White and Elvis, and sure enough there were a couple in the audience from the local rock and roll society that wore t-shirts decorated with pictures of the King. But most in the audience, or at least those in the toilet, talked as if Tony Joe was their main man. This surprised me. Tony Joe has appeal but he also has limitations and, inevitably, the early comparisons with Elvis proved premature. Now they can be understood as an indication of the crude emphasis given to the importance of race in American music and the willingness of many to underestimate Elvis. Back then, White was far from being the only white man singing the blues but the alternatives consisted of British fantasists and American middle-class imitators. That helped. Tony Joe White, like Elvis, was a Southerner and working class, and that was important because the white American working class were once restricted to singing country or imitating Elvis. Tony Joe White did neither. He had authentic roots. And I suppose there were other reasons we may have been tempted to believe he was our new Elvis. After all those movies, British fans, who have always leaned more to vintage rock and roll than their American equivalents, were having serious misgivings about Elvis. They needed rescuing from disappointment, and initially White made promises. He was only a modest Elvis but he looked a little like him and, really important, he sang the blues. At the time of the early comparisons, White had created two decent selling singles. These were ‘Willie And Laura Jones’ and ‘Polk Salad Annie’. He also mixed up his material like Elvis. His debut album was called ‘Black And White’ and it contained Lightning Hopkins guitar licks, Howling Wolf vocal effects and ballads like ‘The Look Of Love’. There was, though, a slight problem. Unlike Elvis, Tony Joe was no great singer. ‘Wichita Lineman’ is one of the best songs of the last fifty years but the version by White is unlistenable. His guitar playing, although highly appealing and distinctive, also depended on simple techniques. Inevitably, minimalism beckoned. And yet, as with Elvis, there are contradictions that have given White staying power. As his career progressed and sometimes stuttered, he has retreated into what he does best, simple swamp funk and opaque spare ballads that evoke lost dreams and capture the spirit of supping bad beer in empty pubs. This bleak description should be no surprise to fans. Without aspiration, pastoral laid-back freedom is possible but on a bad day it can easily tip into nihilistic despair. And yet nobody will ever be tempted to cut his or her throat listening to a Tony Joe White album. He insists with his music, as indeed he has done with his life, that non-aspirational independence is possible. His song, ‘Don’t Overdo It’, sums him up quite well. But the more personal songs, like those on his album, ‘The Shine’, have worrying gaps. Often the songs have no beginning middle and end. Even when he describes the more eccentric aspects of Southern life, his notes are sparse. He remembers odd characters but rarely provides detailed descriptions. He only hints at the exotica that he admires. About himself, he is even more taciturn, avoiding the true implication of profound mystery. The message from White is that life tells you little. Intellectuals derive satisfaction from contemplating mysteries and are tempted by analysis. White merely observes that not much happens in a world when you successfully escape all the rubbish. His independent redneck stance is important. Modest lives have drama. His song ‘Five Summers For Jimmy’ about a dedicated wife is hopelessly romantic but it reveals he understands that all romance is about sacrifice and forfeit. His song ‘The Daddy’ is sentimental but insists that the rednecks and counterculture can co-exist. And this also made him important especially in the divided world of the sixties. His engaging personality is a key element. Elvis offers more glory but White appears to have life sorted which is why he still prevails. Elvis wasted millions building a ranch and an alternative existence that he failed to sustain. It says much about Elvis that his ambitions were soon abandoned when the Colonel shouted at him and a lot about White that after only three successful albums of his own he was able to create the ranch and idealistic lifestyle that was beyond Elvis. Interestingly, when White met Elvis in Vegas he realised that the King was badly wounded. Like a loyal knight of the round table, Tony Joe suggested that Elvis take a vacation and join him in his castle. Just imagine, Elvis in a retreat from modern capitalism and exposed to unmitigated common sense. It never happened, Elvis mumbled and the Louisiana minimalist had to accept defeat. But although recent albums have been sparse and measured, White cannot be categorised easily as a minimalist. His early album, ‘Eyes’, has soul styled arrangements. Amongst the horns and female backing, he drifts easily and comfortably into a couple of Barry White impressions that are nowhere near as offensive as they should be. ‘The Heroines’, released in 2004, received deservedly rave reviews and it does not exist alone. ‘One Hot Night In July’ is even better and so is the earlier ‘The Train I’m On’ which has a good range of material and styles. Some of his efforts have been modest, probably because he was bouncing between labels, but all the albums have tracks that are important. The compilations of the best of Tony Joe White are always impressive. Like most fans, I reckon I could compile an excellent double CD of essential recordings which is not bad for a bloke I saw in a pub in Wolverhampton. If his voice is only pleasant, it benefits from being very deep and having a strong Louisiana accent. When I saw him in the middle of an unusually warm British summer, his first words were, ‘Hi there, how y’all doing. Outside it’s as hot as Louisiana.’ The audience surrendered. Okay, the British can sometimes be silly but his baritone voice and resonant accent were irresistible. White is a musical talent but his appeal goes beyond that. He has always benefited from what the British want the American South to be. We know about the racism but like to imagine a lazy way of living and communities tolerant of independent eccentrics that listen to bayous rather than discuss classical pessimism. Interestingly, he first appeared in England as a support act for the more famous Creedence Clearwater Revival. He has outlived that band and taken his music in directions beyond that of John Fogerty although without their commercial success. Elvis covered three Tony Joe White songs and Tina Turner had a big hit with ‘Steamy Windows’. Many people have recorded his marvellous song, ‘Rainy Night In Georgia’. There is enough money to pay for the ranch and quiet days. “Rainy Night in Georgia” is one of the all time great songs. Rainy night in Georgia was a great song… I love the Brook Benton version. One Tony’s strengths is his song writing ability. I really enjoyed this piece, as I too have seen Tony Joe live. Some interesting information and how I wish that Elvis had taken up the offer to have some ‘ranch’ time. I also really like ‘Rainy Night in Georgia’, sung by Elvis, or Tony Joe.